Bird watching is a popular spectator sport in the United States and is popular in many other countries across the world. In fact, the sport is as popular as football or baseball in some of these countries. We think you’ll enjoy it and will use the following tips for getting the most out of your birding activities. You want to choose a spot that harbors several species of birds. You can search online to find spots with multiple species of birds in an area. One website to check is Audubon.org. 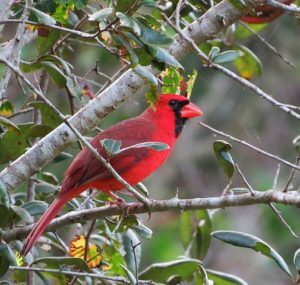 They offer a lot of valuable information to help you get started and help you identify some of Virginia’s most prevalent birds such as the Northern Cardinal, and the Prothonotary Warbler. On the other hand, you can even go to the nearest wildlife refuge where many birds can be observed for a few hours. It’s an enjoyable way to spend your time while you learn some of the most popular species. You’ll need a good pair of binoculars as most of the birds will be far up in the trees or you don’t want to get so close as to frighten them away. Most are reasonably priced and durable for your explorations. Be sure to take a companion with you when you go bird watching. It can enhance your bird watching experience when you share the adventure with a friend or two. Kids love birding, too, and they love learning about each type of bird they see. There are several books that have been written on the subject so choosing one that has been written for youth will assist both of you in learning about these amazing creatures.